Is Young Living Essential Oils a Pyramid Scheme? A reader asked if Young Living Essential Oils is a pyramid scheme. 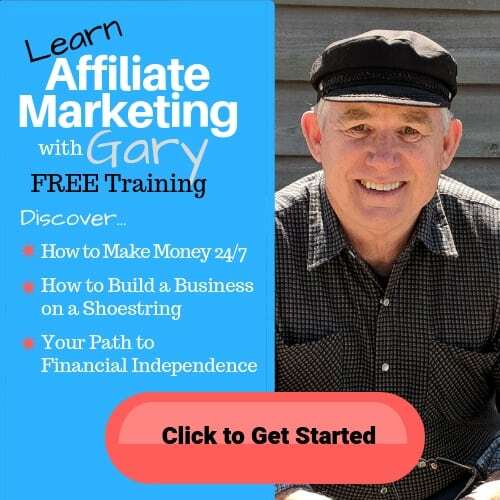 In this article, I give my opinion based on the guidelines established by the United States Federal Trade Commission regarding MLMs and pyramid schemes. Is Young Living Essential Oils a Pyramid Scheme? Young Living Essential Oils is a privately owned, billion dollar MLM company. According to reports published on the Federal Trade Commission’s website, Young Living Essential Oils may be a product-based pyramid as defined by Dr. Jon Taylor. Keep in mind that although Young Living Essential Oils may be a legal MLM, that does not mean you will make a lot of money with their business opportunity. More on that in a moment. The Federal Trade Commission (FTC) investigates and prosecutes suspected pyramid schemes in the United States. A thorough investigation and a legal hearing is required to conclusively determine if a business is a pyramid scheme or not. However, there are warning signs that a business may be a pyramid scheme. If these warning signs are not evident, it is probably safe to assume the business is not a pyramid scheme, although it does not mean the business is worthy of your money, time and energy. In this article, I expand on the three elements the FTC warns are indicators that a business might be a pyramid scheme and I show how Young Living Essential Oils measures up. For detail analysis of the Young Living Essential Oils business opportunity, read Young Living Essential Oils Review. Pyramid schemes are illegal in most countries. Pyramid schemes destroy the financial lives of countless people and negatively impact entire economies. Unfortunately, the internet has fostered a growing epidemic of pyramid schemes in various forms. 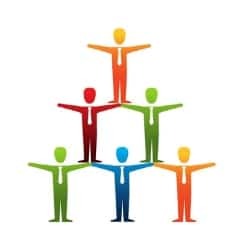 Many pyramid schemes pretend to be Multi-level marketing companies. Often, it’s a very thin line between a legitimate MLM and a pyramid scheme. 3 Signs a Company Might Be a Pyramid Scheme. If a business trying to sell you an “opportunity” has any of the following signs, it’s probably a pyramid scheme. The money you make as a distributor for the company is primarily earned by recruiting others and selling products to your recruits. Little or no money is earned by selling products to people who are not members of the sales organization. You are forced to buy lots of products. This requirement might be disguised as Starter Packs or Business Packs, or as aggressive auto-ship programs. You are required to buy other things you don’t need such as training packages or product packs to maintain an active status with the company. A pyramid scheme is focused on recruitment. In a pure pyramid scheme there is no product, just a so-called business opportunity. If you join the scheme, you pay money to join and the person who recruited you is paid a commission. Once you join the scheme you have license to recruit people. Each time you recruit someone you earn a commission. Again, no product is sold, you are rewarded for recruiting others. Recruiting others is the only way to make money with a pure pyramid scheme. Not surprisingly, most of the money paid into a pyramid scheme is funneled to the person at the top, usually, the person who created the scheme in the first place. At some point there is no one else to recruit and the scheme collapses. The thing to remember is a pure pyramid scheme is based on recruitment and it is only through recruitment that money is made. Like a pure pyramid scheme, Young Living is dependent on recruiting. Every distributor must recruit in order to advance in rank and to earn commissions and bonuses. If Young Living stopped recruiting the company would probably collapse. Selling the Dream means the people trying to recruit you are pitching outrageous promises of making a lot of money quickly and easily. They will continually try to keep you in an emotional state because they know you cannot make a rational decision while you are emotional. In other words, they push your greed button. It’s a scammers tactic as old as Eve and the Serpent. Young Living sells the dream of an abundant life. Is Young Living Essential Oils Legal? In my research, I found a comment that argued Young Living Essential Oils is indeed a product-based pyramid scheme because when a distributor recruits someone new into the organization they are paid a $20 commission. The writer makes a good point. In my observation of the FTC and the cases they chose to prosecute, it appears that the FTC is friendly towards the Multi-level Marketing industry. The FTC often tolerates all but the obvious violation of the law. Their attitude may be because of limited resources and an infinite caseload. In other words, they must chose their battles. The Product Based Pyramid Scheme. According to the FTC, many pyramid schemes hide their true nature by adding a line of products and claiming to be an MLM. Dr. Jon Taylor, in his published research about the MLM industry, referred to this hybrid as a product-based pyramid scheme. Indeed, many critics label all MLMs as product-based pyramid schemes. And, they have a sound argument. However, within the focus of this article, I will debate there are differences between blatant pyramid schemes masquerading as MLMs and genuine MLMs that earn most of the revenue from retail sales of products that are also reasonably priced. Remember how a pure pyramid scheme has only a business opportunity to offer. That’s illegal because money can only made by recruitment. For sake of comparison, let’s say it costs $50 to join and $50 a month to stay in such a scheme. Each time someone joins, $50 flows from the bottom of the organization to the top. At each level, each member is rewarded a little slice from the $50, but most of it goes to the top. Likewise, every month, each member pays $50 to stay active in the scheme. That’s how money flows in a pure pyramid scheme. When a pyramid scheme adds a product to conceal their true nature, they charge a lot of money for a product that isn’t nearly as expensive when purchased elsewhere. Promoting overly expensive products is a clue that a MLM might be a pyramid scheme. I believe this is true of Young Living. For example, if a so-called MLM sells a $5 beverage for $55 and requires recruits to buy that beverage when they join and to buy more each month, the flow of money up the organization is no different than for a pure pyramid scheme. The product is merely an attempt to make a criminal enterprise look legitimate. Young Living Essential Oils products are among the most expensive in the essential oil market. Product-based pyramid schemes generally offer magical products. By this I mean they claim their products can achieve magical health results. There are MLMs which I suspect are product-based pyramids that promote magical coffee and energy drinks and who charge several times more than a comparable product that is available elsewhere. 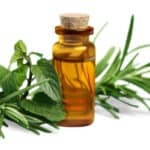 There are reports online that some Young Living Essential Oils have made unsubstantiated health claims about their products, even claiming that it can cure cancer and a series of other health issues. In 2014, the FDA sent Gary Young, the CEO of Young Living Essential Oils a warning letter advising Mr. Young that many of the company’s distributors were making wild claims about the health benefits of the products. These claims included viral infections, Ebola, Parkinson’s disease, diabetes, high blood pressure, cancer, insomnia, heart disease, PTSD, and dementia. However, such claims are not evident on the Young Living Essential Oils website now. Still, the fact that some distributors will make such claims exposes a serious issue with selling essential oils through an MLM. 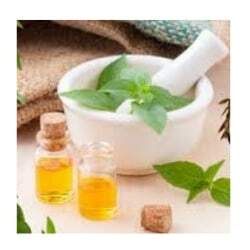 Most distributors are not Certified Aromatherapist, and that’s a problem. Some of the Young Living Essential Oils complaints I found online were about the products harming or killing pets after a distributor recommended them. Unsubstantiated claims stem from distributors who are mostly interested in making money. Generally speaking, these are the sorts of people drawn to MLM because most MLMs market to people who want to make money. The essential oils are just a means to an end. It’s a recipe for continual ethics violations. Young Living Essential Oils Integrity. To be sure, Young Living Essential Oils has had some failures of integrity, both at the corporate level and among their distributors. The company promises you the “potential” for living a life of abundance, but most distributors lose money. Young living has had 25 years to improve the number of distributors who achieve a life of abundance and yet today less than 1% earn more in commissions than they spend on products. Can You Make Money with Young Living Essential Oils? Probably not. Statistically, the MLM industry has a dismal record for helping people make money. Entrepreneurship is tough in any industry or market. Success takes work, commitment, proper support and patience. To see what your chances are for making money with the Young Living business opportunity, read Young Living Essential Oils Review. The crime of MLM is that the deck is stacked against the average distributor and only favors a few people at the top. MLM holds out the promise that the average distributor can make money. That promise is misleading and damaging to most people who try the so-called opportunity. Young Living Essential Oils Compensation Plan does not directly claim you will make money, but they do claim to help you “achieve abundance.” Whatever that means. Promises that don’t promise anything are typical MLM speak. Should You Join Young Living Essential Oils? That’s a personal decision. However, I suggest that you only join if you are crazy about the products. And, don’t expect to make more money than you spend running your business. 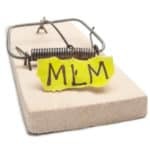 If you join Young Living as a distributor with the ambition of making money, remember, the few people who succeed with MLM either launch their own MLM business or they become very good at recruiting, motivating and managing people. 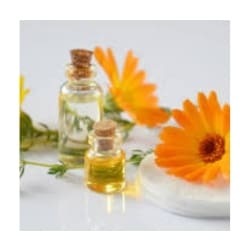 If you’re interested in essential oils, I think you would find it more rewarding if you were a Certified Aromatherapist. Then you can genuinely help people and that’s the best way to make money. Begin your research about Certified Aromatherapists at the two non-profit organizations that promote the profession, HAHA and AIA. 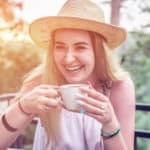 If you found this article helpful, or if you have experience or insights to share about whether Young Living Essential Oils is a pyramid scheme, please leave a comment below. Thank you! I see this happen all the time with young people, especially stay at home mom’s trying to make a little extra money. People think it’s a good way to make fast easy money. I can scroll through face book and within minutes, I can find someone who has been sucked into a pyramid scheme. Very informative and next time I see someone post about this company, I will send them the link to your post. Hopefully, it will help someone out. This is a great article with lots of helpful analysis. I personally think that essential oils are a bit of snake oil, but a lot of people believe in them. If anything, they probably have a placebo effect. My point is, I am skeptical of anything dealing with EO and MLM. I think by the textbook definition they are not a pyramid scheme, but still a scheme nonetheless. Thanks for the heads up! I found another one that’s similar to DoTerra oils, and sooner or later, some friends on Facebook will pitch on me this product and business opportunity. The information that you just shared here will help me counter their invitations. You know, I got almost 5,000 friends on Facebook and half of them are network marketers. Everyday, I am receiving messages from them inviting me to look at their opportunity and recently, I noticed the number of companies and individuals marketing oils like this. I am getting tired of replying to their messages, but I feel the responsibility of guiding them to a better opportunity like the one you are recommending here. These people need to start a real business online like owning a profitable website, instead of jumping from one company to another which most are just questionable schemes. Maybe I will just refer them to visit this site of yours, so these blog posts of yours will do the explanation for them on my behalf. Thanks for coming up with these reviews. I am in complete agreement with you and your assessment of Young Living Essential Oils, they are not a Pyramid Scheme but are most definitely a MLM company. Distributors at the bottom of the sales funnels make the least amount of money where the select few at the top are making all the profits from the product or service. This is the way most of the MLM’s work and promises of making any big money are unrealistic. Thank you for making me aware of this particular company I do enjoy the essential oils today and knowing this is one that tries to recruit members I will stay away from them. Thanks for the review concerning young living essential . Do you think that Multi level marketing business models are sustainable ? I agree with your opinion that Young’s essential oils is not s pyramid scheme but I am unsure how an MLM company can sustain itself for decades of Trading. I used to sell for Kleenex the home cataolgue company. One month they were expanding and in a record growth year and two months later they folded! This was a well known company in the UK, Ireland and Spain. The infrastructure just collapsed. Do you think it’s a possibility the same can Happen to Young’s essential oils? This article is a really informative and an insightful one for me. Nowadays it is really hard to judge and find about a company. 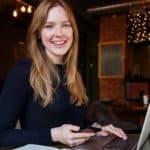 This article explained really well about pyramid schemes and also it taught me how to find if a specific company is a pyramid scheme or not. Thank you so much for sharing this article with us.